BookLogix is so proud to announce that The History Makers by Val Bodurtha placed silver for the Independent Book Publishers Association (IBPA) Benjamin Franklin Award in the “Teen: Fiction (13-18 Years)” category! 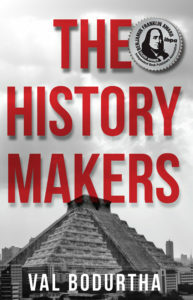 The History Makers is published under BookLogix’s Lanier Press imprint. Val is a 2015 Young Writers Contest winner. 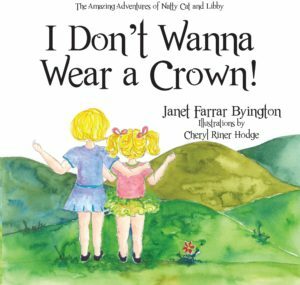 Author Janet Byington and illustrator Cheryl Hodge just ran an incredibly successful book launch at the Rabbit’s Nest in Rome, Georgia for their new children’s book, I Don’t Wanna Wear a Crown! These talented and creative ladies sold 100 hardcover books at the launch and we are sure that their guests will enjoy this adorable tale that teaches little girls that they can be whatever they set their minds to. We are excited to see what comes next for this inspiring book series! 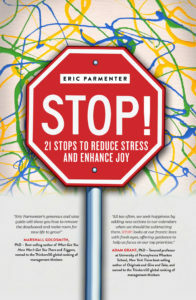 Congratulations to Eric Parmenter for winning a Book Excellence Award for his book STOP! 21 Stops to Reduce Stress and Enhance Joy in the category of Self Help. Selected from hundreds of entries from around the world for its high caliber of writing, design and unique market appeal, STOP! uses the latest behavioral and brain science to help readers enhance their joy, productivity, and well-being.